When it comes to VR experiences, producers battle in terms of technology and gadgets for the number 1 spot. However, among the VR headsets of Samsung, HTC and others, there’s a new competitor in town: Google VR headset. This headset is a serious competitor even though it’s pretty new in the field with its one-in-all control, thus allowing an easier handling. Easy to strap onto your head and with a pouch-like design, it’s a real temptation. We’ll be reviewing the Google VR headset based on its price, technology, and user experience. Being a VR platform, the Google VR headset is made of a soft cloth which makes it suitable for any compatible phone. Even more so, being made of a very light cloth, it won’t be a heavy-to-wear VR, as others might be due to the material they’re made of. However, outside light peeks in and phones can overheat, leading them to lag in performance. And most important it comes with a Wii-like remote controller, which makes it very easy to use. It can even be worn by those who wear eyeglasses, although they might feel some slight discomfort after prolonged use. Unlike other VR headsets, this one is not limited to one brand in particular (say Samsung). Rather, the phone must be VR-compliant. Although, when it was launched, it didn’t have many apps that users could install and make use of through the headset. But, by this time, there are certainly a couple of apps (like HBO Go VR) and games that really make you feel like you’re outside of this world. Not to mention the use of their Google Street View in VR. There are differences in opinions regarding the users. But most reviews are favorable to the Google VR headset, praising its simplicity and the stunning UX it offers. Albeit being a powerful and budget-friendly headset, it has its rights and wrongs. So here’s the list of the good and the bad. 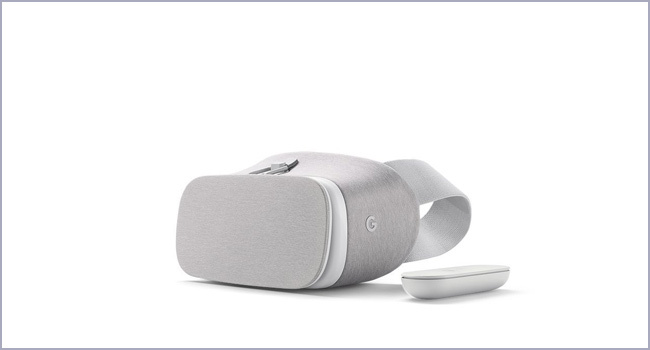 Not compatible with all phones – although not restricted to a particular phone, the Google VR headset is compatible, according to its specs, only with a number of phones. This year there are new sets of phones due to be released that comply with Google’s guidelines. Inconsistent controller setting – sometimes, the controller’s position drifts out of place, snapping the cursor toward something on-screen, thus pulling it away from the remote’s real-world orientation. Light bleeding – light falls in if the phone even slightly slips out of its place, causing slight pain to the eyes. There aren’t many requirements from the headset. All you have to do is take it out of the package and read about it in the instructions manual. And that’s it. It indeed requires a compatible phone, in terms of technical specs: GPU, CPU and all the likes. But that’s because it requires a solid phone to render the mind-blowing experience. And, as already said, the Google VR headset is made of a light fabric which allows for breathing. This makes sure that it doesn’t strain your neck, for example, as it would happen with other VR headsets. Its small and also powerful controller allows you to interact with the virtual world as you would in the real world. Use it to swing a bat, to steer a ship or the wheel of a car. 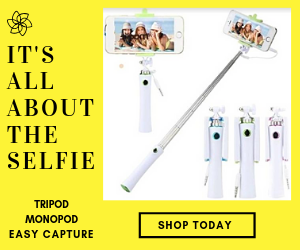 Use it to stroll the streets of faraway places from the comfort of your home. The display is not dependent on some built-in characteristics. It depends on the pixel per inch display (ppi) of the phone. Setting up your Google VR headset is not a complicated process, unlike with other headsets that require a multitude of setup settings to do, wiring and so on. All you have to do is get it out, then put the phone in the pouch-like pocket. Connect the remote control via Bluetooth to your phone. After you finish, experience the uniqueness of virtual reality. Fairly simple, you can watch music videos, go through your photo and video library, and so much more. And all this without having to search for tricky settings to sync the Google VR headset with your phone or remote control. And the lenses’ sensors immediately center the image on the screen’s phone, so you won’t have to adjust it manually. As with any other device, be it a phone, laptop, or VR headset, users split into two categories: those who rave about the Google VR headset and those who despise it. Per Amazon’s verified purchase reviewers, most of them are happy to own the Google VR headset. They are satisfied by the intelligent design, the intuitive setup procedure, and the way the remote works. There are users who report having problems with the VR headset. But only a few are genuinely upset because of the device’s malfunctions. Others just did not pay close attention to Google’s disclaimer that states that the device only works with compatible phones (Daydream compatible phones). So before buying this device make sure that your phone is fully compliant with the specs. If you’re a big fan of VR headsets or just getting to know your way around these devices, then the Google VR headset is the perfect way to start your VR experience. At lesser the price than any other VR headset, this one is sure to draw your attention due to its almost impeccable design and the easiness of its setup. However, make sure to research it properly if you’re concerned that it won’t work well with your phone. Enjoy the VR experience – or, if you’ve already done this, leave us a comment telling us how it felt. If you have questions or remarks regarding this device, don’t hesitate to tell us. We’ll reply as soon as possible.